After discovering the coziest lighthouse of all time in downtown NYC, we are on a hunt for to find towers of light in as many literary cities as we can. Tonight, we hereby share with you a little known lighthouse in all its kitschy glory, nestled into a hill, in downtown Paris. 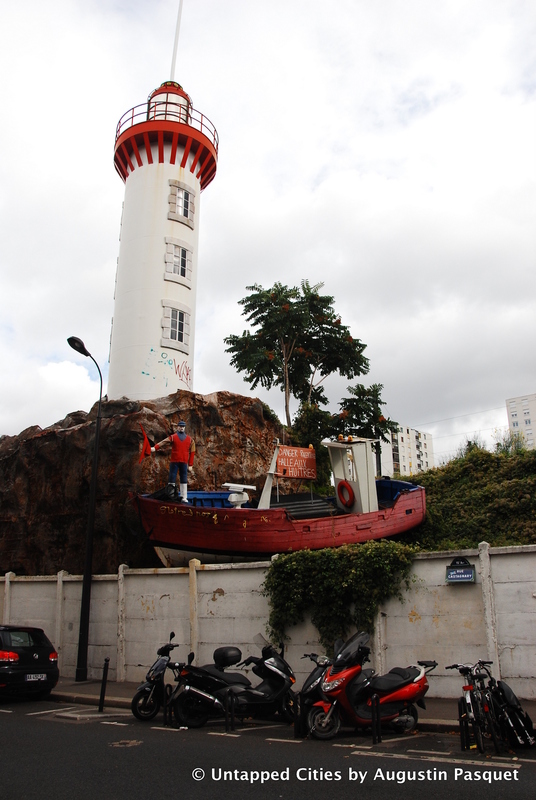 Discovered in an article, “Untapped Paris,” this lighthouse sits atop a rock formation by the Montparnasse train station and serves as decor for a fish market, “La Criée du Phare.” Next time you’re in Paris quaffing wine comme Hemingway, we hope you’ll saunter through the city’s streets in search of this surprising treasure.  Archived in Literary Randomness and tagged Hemingway, lighthouse, literary, Montparnasse, Paris, photography, writing. Bookmark the permalink.